Good fences make good neighbors. Our maintenance-free vinyl fences add security and privacy to your property. Aluminum fences are attractive and durable. We offer custom colors and a wide range of design options. Add character to your home or business with attractive accessories. 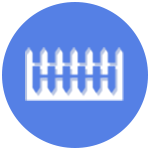 We sell a wide range of fence caps, railings, and arbors. Jersey Shore Fence & Railing is a fully licensed and insured fence distributor based in Matawan, New Jersey. 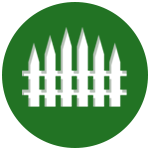 The owners, Freddy and Donna, live locally and are passionate about fences. 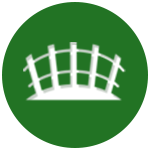 Freddy has installed hundreds of railings and fences and has more than 10 years of experience in the industry. Donna maintains the business side, but on occasion, loves to get her hands dirty as well. We know the inferior products on the market today. That is why we specialize in "future tech" vinyl fences that require no maintenance and are strong and extremely durable. Our aluminum fences add style and elegance to any property with its rust proof finish. We also offer wood fencing options as well. You can pickup at our store location or we can deliver to your yard or jobsite. Our prices are extremely competitive and are significantly lower than the lesser quality materials that are offered from the big box stores. While the majority of our clients are contractors, we do offer free estimates for those customers who are looking for some help designing their outdoor space. We install on both residential and commercial properties. No job is too big or too small.